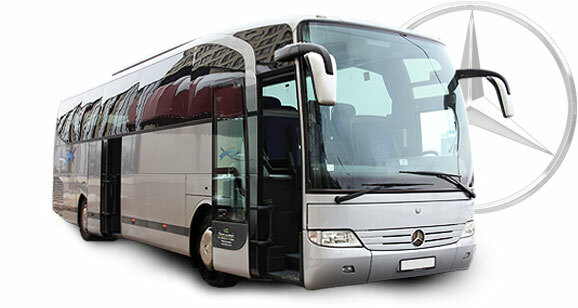 Tour buses rental in Riga to make your trip as comfortable as possible. Perfect for long journeys or transfers in Latvia and farther with bus which satisfies everyone. The Mercedes Benz Travego charter bus provides passengers with safety and wellness. Suitable for long-distance trips.